New Delhi (Sputnik): Amid increasing deployment of air assets by Pakistan near the Indian border, Indian Air Force (IAF) Chief Air Chief Marshal BS Dhanoa took a jibe at Pakistani counterpart Air Chief Marshal Mujahid Anwar Khan of the Pakistan Air Force (PAF), mocking his earlier statement in which he vowed to lead the force ‘from the front'. The basis of Dhanoa's ridicule was that Khan had flown in the rear cockpit of his F-16 during PAF fly past at Pakistan National Day which took place on Saturday last week. "Pakistan Air Force chief was flying from the rear cockpit," BS Dhanoa quipped. 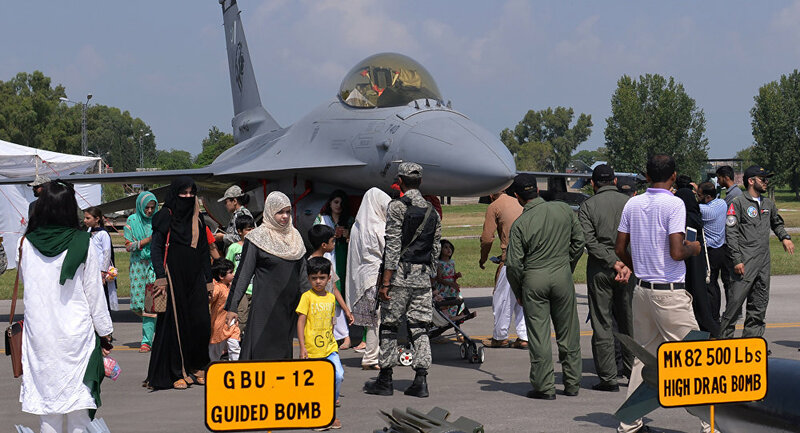 Pakistan Air Force (PAF) Chief Marshal Mujahid Anwar Khan said on Saturday that the force was ready to defend the aerial frontiers of the country at all costs. "This is your air chief. Make no mistake… we will always safeguard Pakistan. Presenting to you our wings of freedom and the guardians of your skies. Pakistan Zindabad," PAF chief Mujahid Anwar Khan said. Earlier this week, an Indian news outlet, citing intelligence reports, said that Pakistan had deployed a spate of Chinese-made medium-range air defence missiles in several cities and military bases in Pakistan to prevent possible new strikes by the IAF. The two nuclear-armed nations have asked their armed forces to remain on high alert beginning 26 February when the IAF conducted a non-military air strike in Balakot, Pakistan. The Indian strikes were reportedly against terror infrastructure operated by Jaish-e-Mohammed (JeM), though Islamabad has denied this. JeM earlier claimed responsibility for the suicide terror attack on an Indian paramilitary convoy on 14 February in Pulwama in Kashmir which killed 40 Indian troopers.